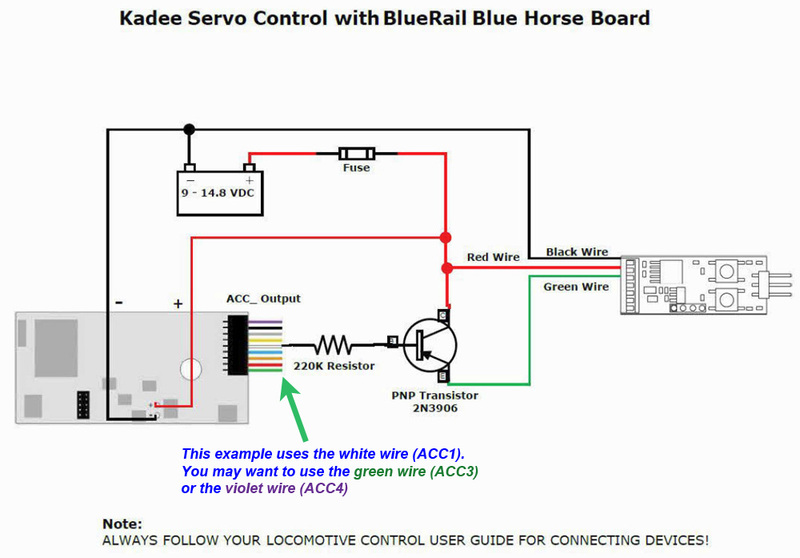 This video demonstrates how to control a Kadee® Servo Controller with a BlueRail board to operate a large scale Kadee coupler with battery power. The BlueRail board can control up to 4 Kadee® Servo Controllers. Kadee® Servo Controllers can control Kadee® RC Remote Couplers (factory programmed), turnouts, crossing gates, semaphores, windmills, water wheels, gondolas, trams, roundabouts, cranes, & drawbridges. Below is a diagram depicting how to make the connection. Click image to download PDF. Video tutorial on how to solder battery leads to a BlueRail board. BlueRail does not recommend soldering your own loads unless you are an expert solderer (it is easy to damage the board if you make a mistake – boards are available with wires pre-soldered in place). This video demonstrates the best way to solder the wires. This video demonstrates Speed Matching and Consisting currently available in iOS (coming to Android). Now you can easily and accurately speed match your locos as you run them on the tracks. Works with all BlueRail and E-Z App trains. This video demonstrates slow speed operation on bluetooth locos using the BlueRail app. Demonstration of using a BlueRail plugin board to power a conventional train set and control layout lighting or accessories. BlueRail’s app offers a simple intuitive interface for configuring and using Ditch Lights with your BlueRail plugin board. A closeup look at BlueRail Trains bluetooth low-energy plug-in board which works well with track power or battery power. The Dead Rail plug-and-play is easily installed in a loco for battery power operation or battery assist (on dirty track). Kit includes bluetooth board, protected lithium battery, magnetic reed switch and 9/8 pin harness, ready to plug into any DCC-Ready train. This video demonstrates using a BlueRail plugin board to control loco lights, layout lights, sounds, and accessories. Running a train with a BlueRail plugin board using Android. Beta version of BlueRail Android app available now in Google Play Store.